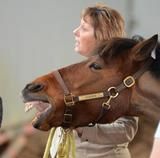 Eqiuyo- The horse human bond through the practice of yoga- downloadable e-book. 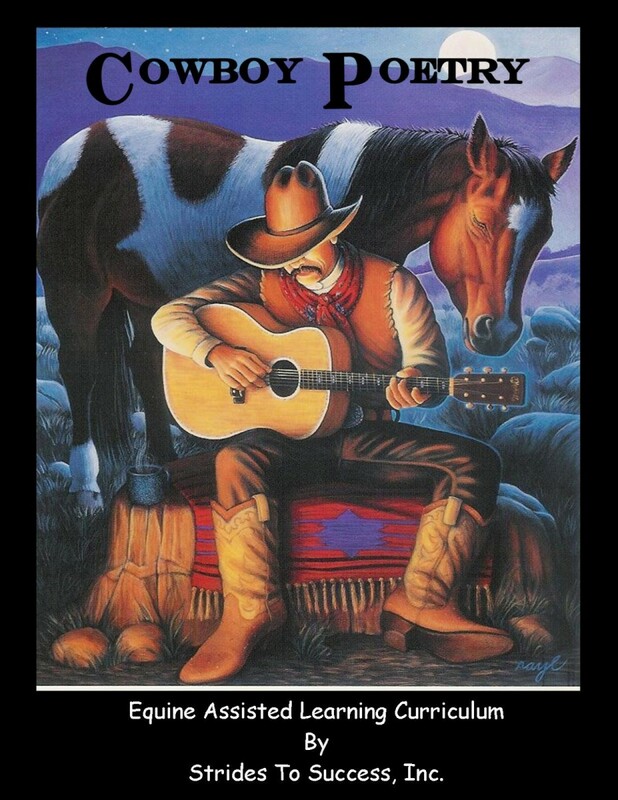 A beautiful book describing basic yoga asana practice while mounted on your horse helping you to become a more balanced rider and human partner with your horse. 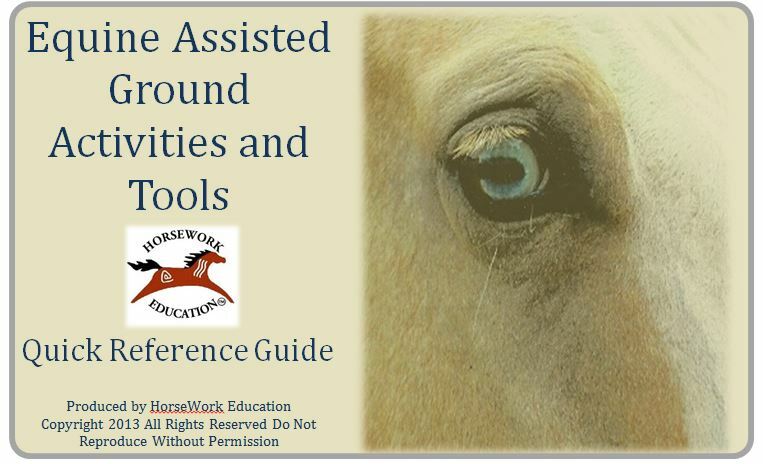 The book for ground based activities and facilitation tools! 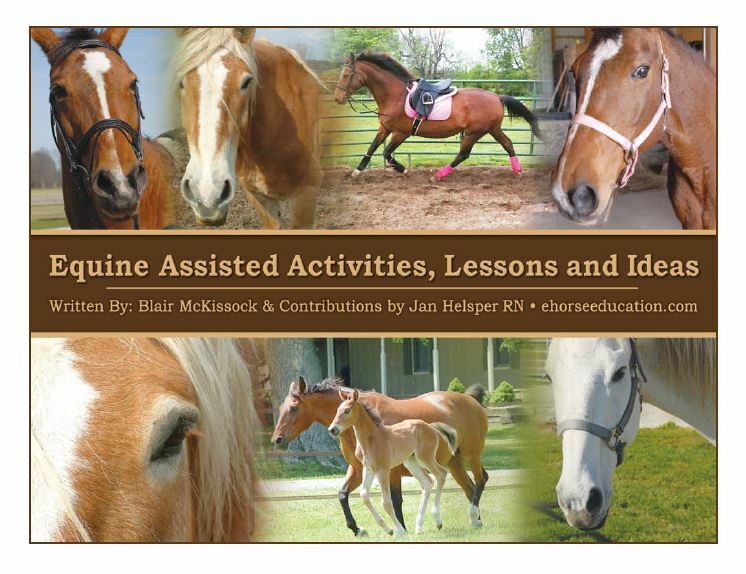 This is the “go to” therapeutic riding activity book in the industry! 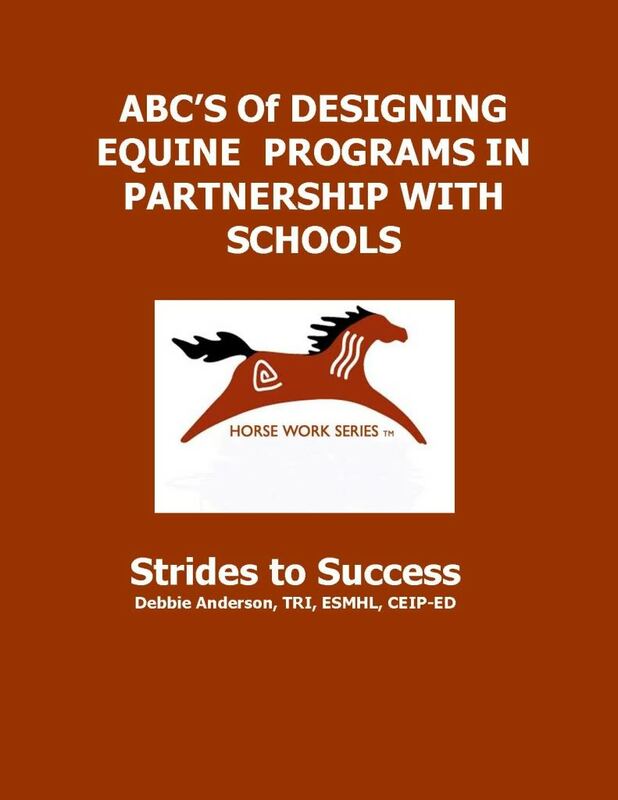 Complete guide to designing and implementing school based equine programs. Nationally recognized elementary and middle school character skills curriculum connected to state standards. 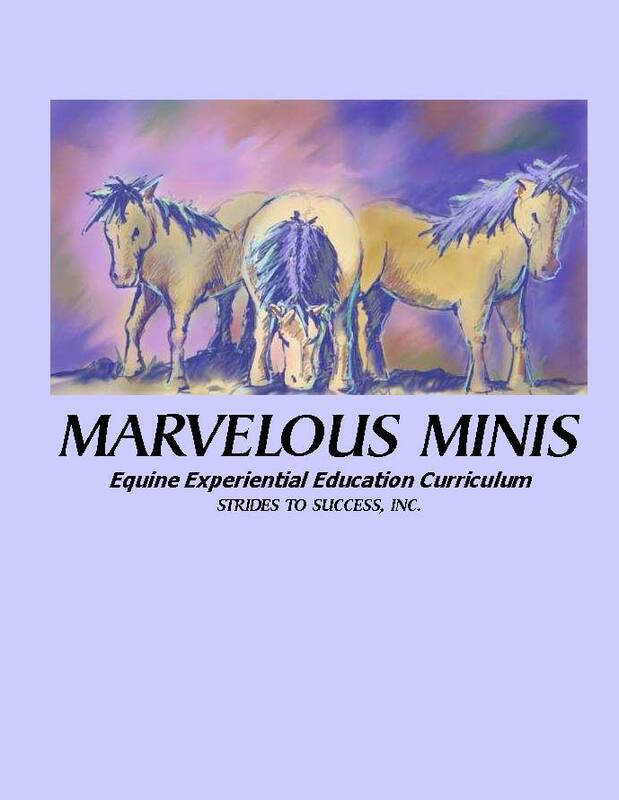 Miniature horse program curriculum using state standards. 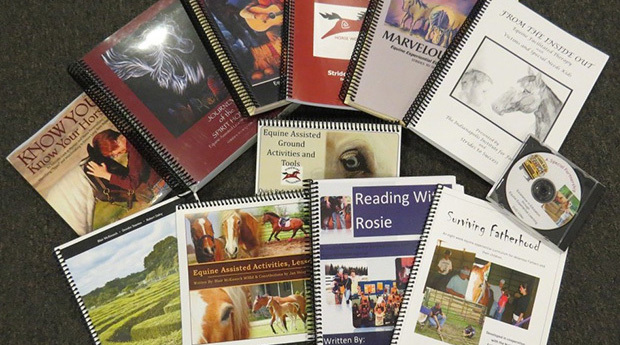 A research based equine assisted literacy program. 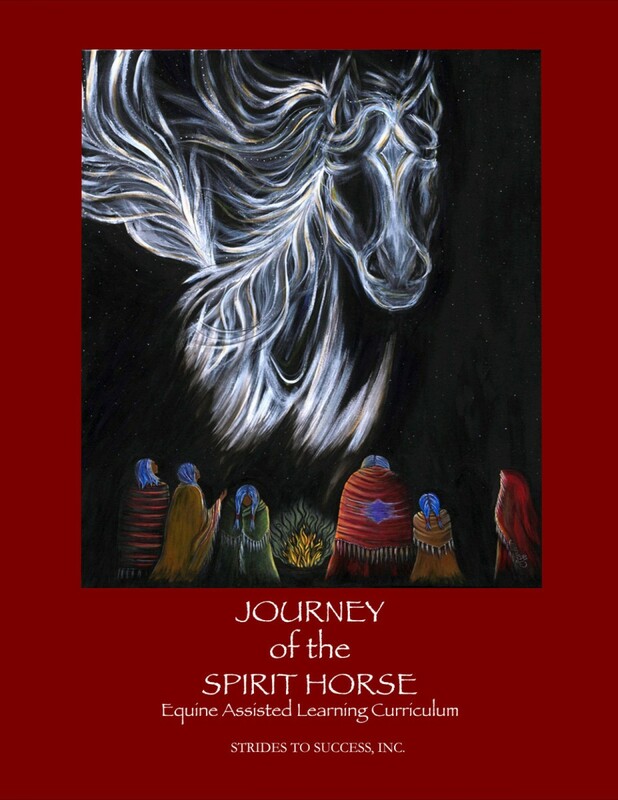 EAL curriculum for high school students with a Native American thematic approach. 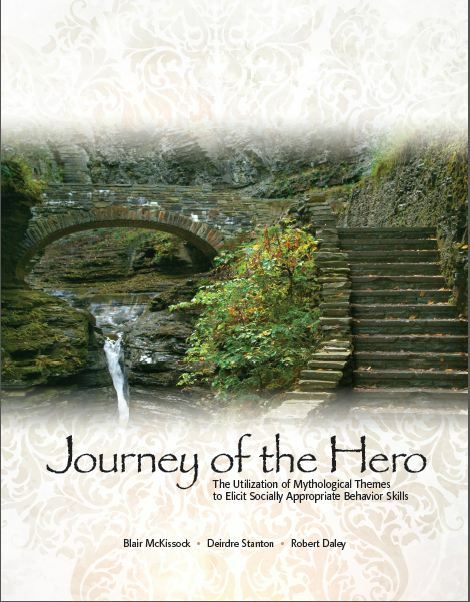 EAL curriculum based on the work of Joseph Campbell, taking clients on the journey of a hero. This item is currently out of stock. Please email for details. 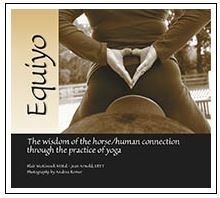 Equiyo is the first book devoted to a mounted yoga practice that incorporates the practice of yoga and riding. 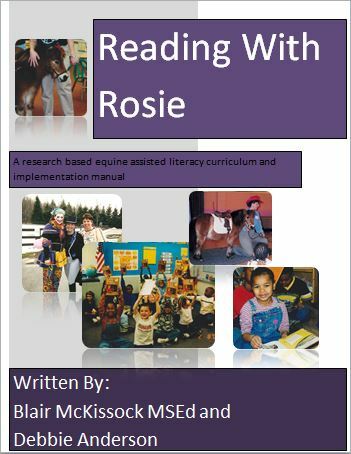 This item is now available as a downloadable ebook! 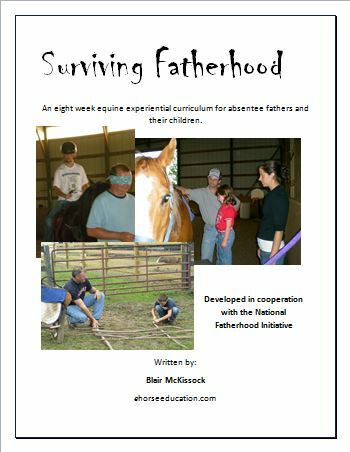 An EAL curriculum for absentee parents and their children through Survivor themed horse interaction. This item is currently out of stock. Please email for details. 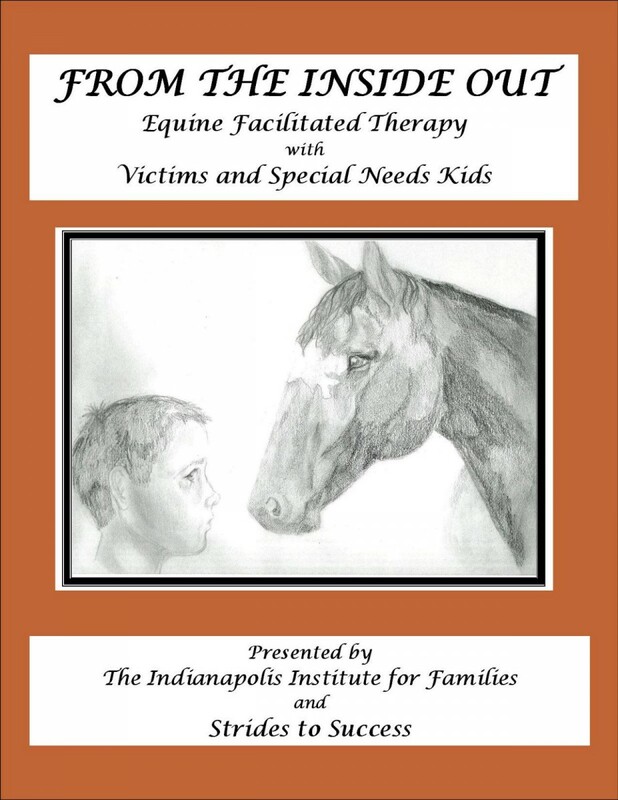 Research based EAP redevelopment and recovery curriculum for trauma victims. Marketing tools for EAL school programs.